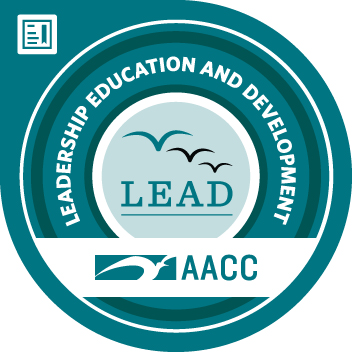 LEAD AACC is a year-long education and development program for faculty and staff currently in leadership roles that aspire to the highest levels of leadership and ensure AACC remains among the best community colleges in the nation. Makes good decisions based on a mixture of analysis, wisdom, experience and judgment in a timely manner. Creates a climate in which people want to do their best. Empowers others by pushing tasks and decisions down. Seen as a direct and truthful person. Can present the unvarnished truth in an appropriate and helpful manner. Can quickly find common ground and solve problems for the good of all. Can represent own interests yet be fair to other perspectives. Has good judgment about which creative ideas and suggestions will work. Open to the creative suggestions of others. Communicates a compelling and inspired sense of core purpose. Talks beyond today about possibilities in the future.